Description: Balwinder Sing, 50, prepares pakora for the first meal of the day. Pakora, a crispy deep fried, delicious, and nutritious, spicy vegetable snack, is a favorite to serve in the gurdwara langar hall. 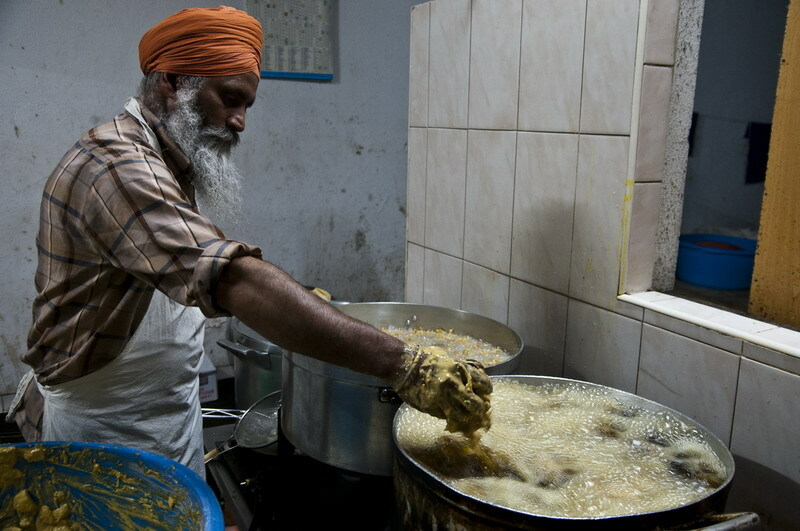 Caption: Balwinder Sing, 50, prepares pakora for the first meal of the day. Pakora, a crispy deep fried, delicious, and nutritious, spicy vegetable snack, is a favorite to serve in the gurdwara langar hall.